Taco night is everyone’s favorite night at our house. J.R. loves them. I love how easy it is to prepare them. And our little pup Bacon loves the leftovers. We usually go pretty traditional with the tacos, adding some taco seasoning to ground turkey and calling it a day. I like to dress mine with shredded lettuce, diced red onions, cilantro and a squeeze of lime. Did I say a squeeze? What I actually mean is I like to cover my tacos with a massive shower of lime juice (I’m never getting scurvy, y’all). I just love the flavor. A good squeeze of lime turns my lettuce and onion toppings into a poor man’s ceviche, right on my humble taco night tacos. You’ve got to try it. Despite my heavy hand with the limes, we never have to use more than one lime between the two of us. That’s thanks to a trick I picked up somewhere along my journey: Nuke ’em. Drop a lime into the microwave and zap it for 10 to 20 seconds. When it comes out, roll the lime on the counter, providing solid pressure with your hand. You can feel the lime’s insides getting all squishy. 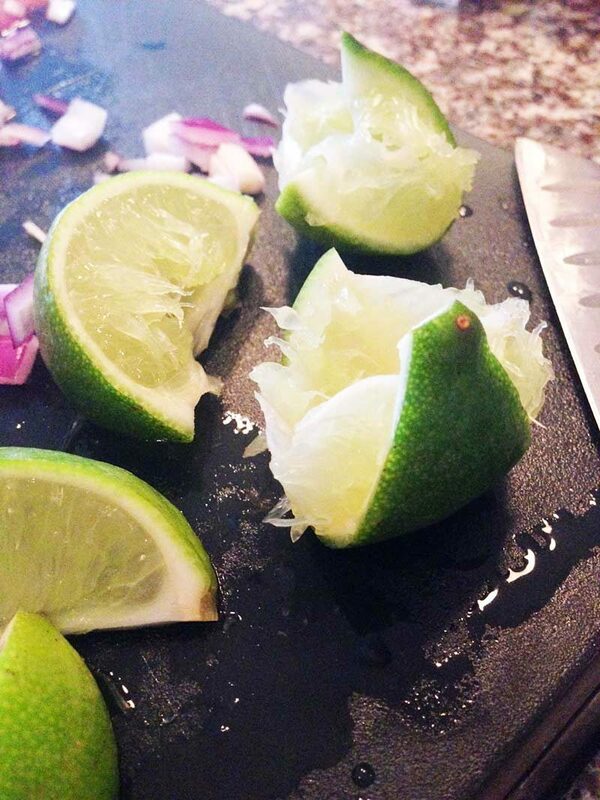 Slice it into sixths with a sharp knife and you should have plenty of fresh and juicy lime for two or three people. 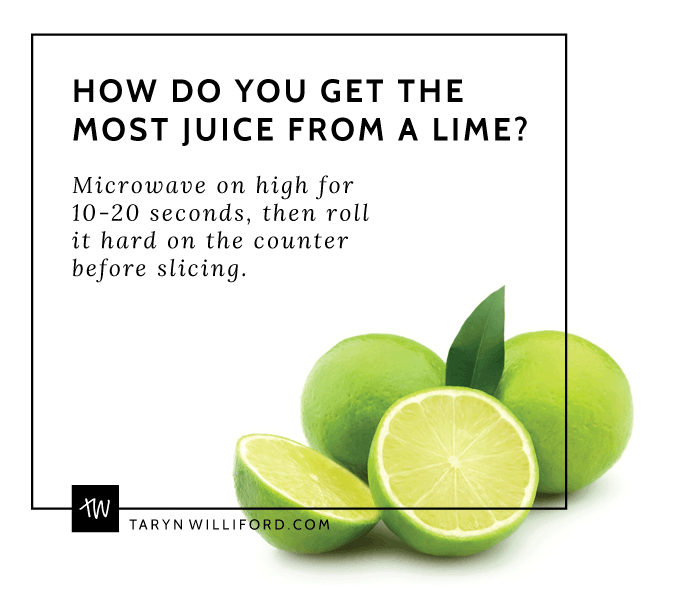 You can use this tip to juice limes for recipes or margaritas, too. Just in time for Cinco de Mayo. Pass it along! I love this method! When it’s time for some lemon/limeade it really does the job. Pingback:	Master chef reveals 8 effective cooking hacks everyone should know - Czaal is a source for deep thinkers, lifelong learners and truth seekers. Posts on science, self-improvement, psychology, unexplained mysteries.